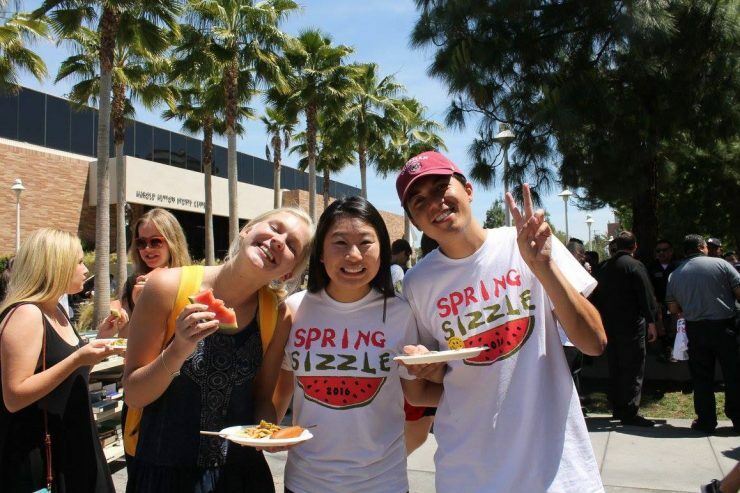 Chapman University began 2018 on a roll. And we mean that literally. 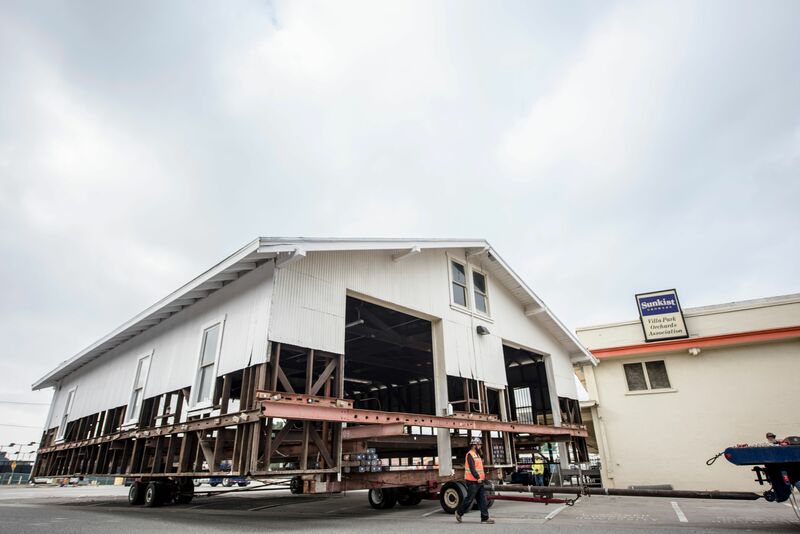 Specialty movers recently hauled two historic buildings about 800 feet from their original spots, to prepare for construction of a new residence hall at the corner of Palm Avenue and Cypress Street. 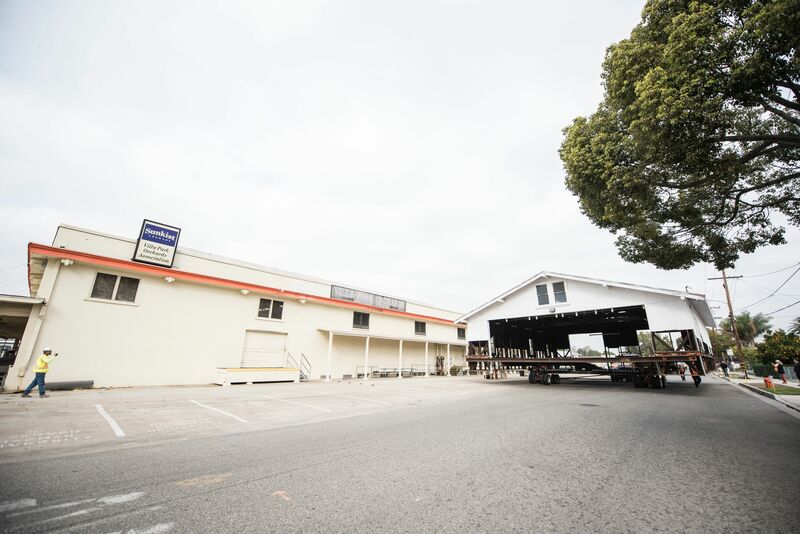 Under the direction of Spectra Historic Construction, crews on Friday, Jan. 19, moved the maintenance and fertilizer sheds that supported operations at the historic Villa Park Orchards Association packinghouse to the north side of the former citrus packing complex. 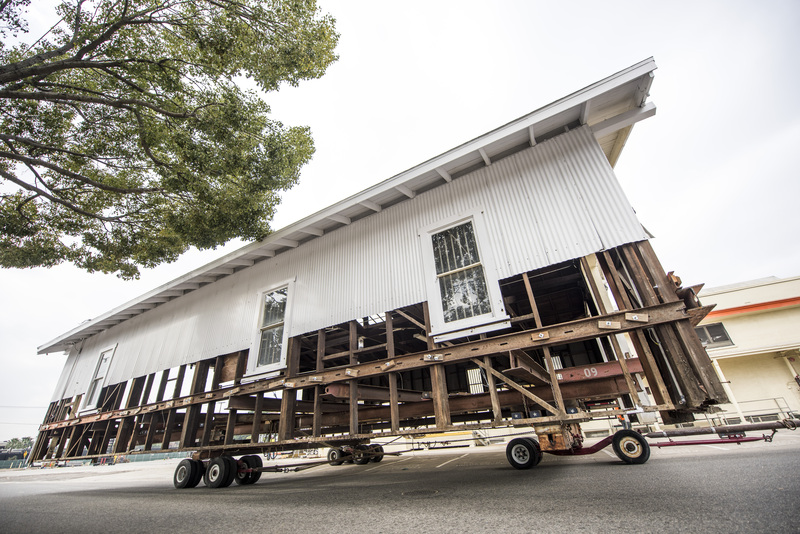 To meet historical preservation standards, the sheds were set down in an alignment that mirrors their original orientation to the adjacent railroad tracks and Cypress Street, said Kris Eric Olsen, vice president of campus planning and operations. In addition, the sheds are roughly the same distance from the packinghouse as they were in their previous setting. “A lot of work and planning and voluminous research reports by historic-preservation architects went into this,” Olsen said. Several future uses for the relocated sheds are being considered. However, for the near term they will be used for storage, Olsen said. 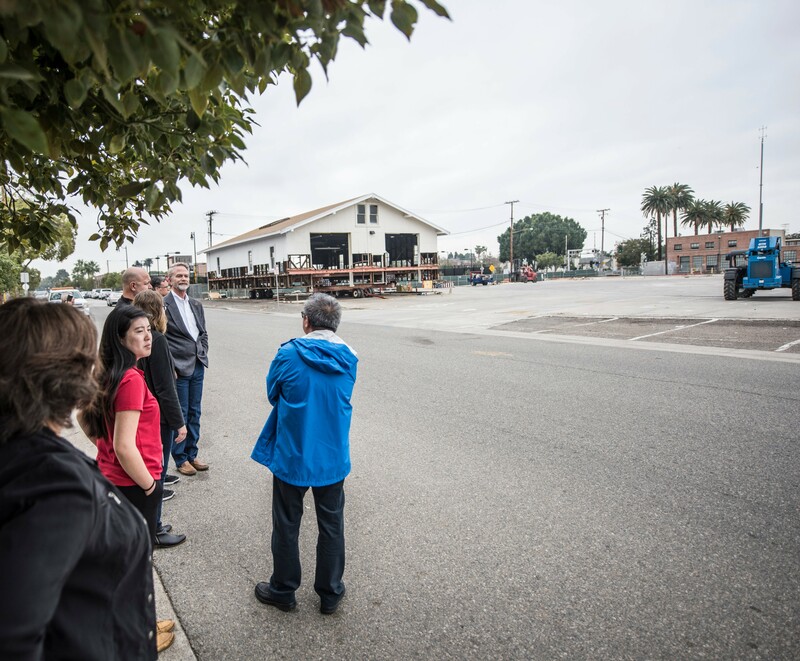 With the $1 million building relocation complete, Chapman moves forward with construction of the Villa Park Orchards Residential Village, which will coincide with the exterior restoration of the 1918 packinghouse. When it opens in fall 2019, the village will accommodate 401 students. To follow construction progress, visit the webcams hosted at the Campus Planning webpage. Old Towne Orange residents, city and University officials gather to watch the move.